Who wrote John? Did John write John? That would make sense. The book is called John. Interestingly, authorship of the Gospel of John has been contested for a long time. For many Christians, John the Apostle (Son of Zebedee) is, without question, the author of this Gospel. However, nowhere in the Gospel is this explicitly stated. The author calls himself “the Beloved Disciple.” Many have taken this as a reference to the Apostle John, but we must concede it’s possible “the Beloved Disciple” does not have to refer to an Apostle. He easily could have been just that – a disciple of Jesus who was loved. There were many disciples following Jesus while he did his ministry, not just the 12 Apostles. He was present at the Last Supper. He was buddies with Peter and even witnessed his denial of Christ. He witnessed the crucifixion as Jesus asked him to take care of his mom. He saw the empty tomb and resurrected Christ. Clearly the author was close to Jesus and was a witness to his ministry, death and resurrection. Uncertainty as to the author in no way diminishes the impact and importance of this Gospel. This was clearly someone in or with access to Jesus’ and the Apostles’ inner circle who speaks with authority. Yet, the question remains: Is there sufficient reason to think John the Apostle wrote this book? Some Christians say “Well, he was at the Last Supper, so of course it was John.” Critics point out that nowhere in scripture does it say ONLY the Apostles were there. In Mark it says only that the Apostles arrived. Critics of John’s authorship will also point out that because he does not name himself, the true author could be one of many people. While it’s an interesting theory, it doesn’t hold up well to scrutiny. First of all, the author made a tremendous effort to hide his true identity. there’s a reason he did not give us his name. It would be strange, then, if he all of a sudden started giving us his name in this passage after not doing so the entire book. Secondly, Lazarus has no place of significance and prestige in the early church (from records we currently have.) It is clear that as soon as this Gospel was written, it was highly esteemed and widely circulated as having great authority. Lastly, just because the author knew many details about Jerusalem does not necessitate him being a resident. John was in Jerusalem plenty enough to write accurately about it. There’s no escaping the fact that very early on (within the first and second centuries), people were attributing authorship to John. However, some critics contend that there are two Johns. They get this from Eusebius (263-339 AD), who distinguishes between the Apostle John and John “The Elder” who learned from the Apostles. So it’s possible this “Elder” John wrote the Gospel along with 2 and 3 John which start out with a greeting from “the Elder”. Another option presented is that the author is actually John Mark (who wrote Mark), but it’s clear John Mark himself was not an eyewitness to these events, so it most likely couldn’t have been him. As mentioned earlier, the author goes out of his way not to mention his name. Who is the only Apostle in this book not mentioned by name? John. He was in Jesus’ inner circle – He had a prominent place at the Last Supper and Jesus held him in high regard. So did Peter. For this person not to be one of the 12 seems ludicrous. He is with Peter an awful lot. This has to be an Apostle. Who is with Peter a lot in Acts? John. Read John 21. The “Beloved Disciple” is on the boat with Peter and the other Apostles. 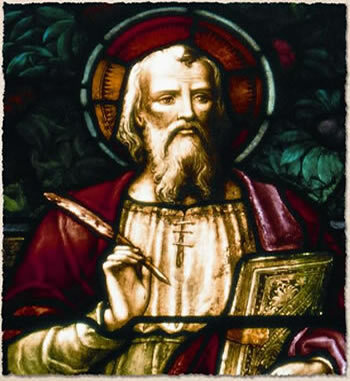 The other Apostles (Peter, Thomas, Nathaniel, James the other Son of Zebedee) have never been credited with writing John. John makes the most sense here. 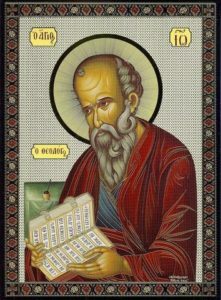 One of the most compelling pieces of evidence is the fact that the EARLIEST church fathers, writing immediately after the Apostolic Age all credit John the Apostle as the author. They were closest to the actual events themselves, so they would know what they are talking about. Irenaeus (writing in the 2nd century) writes that when speaking to Polycarp in person, Polycarp said John the Apostle was the author. Who was Polycarp? Just the guy who was personally discipled by John. This first hand account of John’s authorship can’t be ignored. For me, the evidence is clear: there’s no significant reason to doubt that John the Apostle wrote the Gospel of John. The Gospel itself is a fascinating read and study. It’s so rich with theological undertones and spiritual themes, there are scholars who devote their entire careers to this one book. At the very least, it’s worth a careful and thorough study. I would suggest reading Interpreting the Gospel of John: A Practical Guide by Gary M. Burge, which is where much of my research for this article came from. Don’t worry, it’s an easy read. It’s also a fun one. What are we to make of President Trump?